OMAHA, Neb., (Feb 14, 2017) – Omaha Performing Arts is proud to announce that the Orpheum Theater and Holland Performing Arts Center are ranked among the top theater venues in the world by Pollstar and Venues Today, the industry&apos;s top publications covering the worldwide concert industry and venues. • Pollstar&apos;s year-end worldwide ticket sales report rans the Orpheum Theater 46th and the Holland Performing Arts Center 119th in the world for ticket sales. • Venues Today&apos;s "Top Spots" ranks the Holland Performing Arts Center #4 and Orpheum Theater #17 among US venues. Pollstar is the only trade publication covering the worldwide concert industry. The year-end rankings were based on reports to Pollstar for shows that played between January 1, 2016 and December 31, 2016. Venues Today is the leading international trade publication that covers the business side of entertainment and sports, particularly as it relates to venues. Its year-end rankings are based on tickets sold for performances that played between October 16, 2015 and October 15, 2016. The Holland Performing Arts Center includes the acoustically acclaimed Kiewit Concert Hall and Scott Recital Hall. The Orpheum Theater includes Slosburg Hall, a proscenium theater. "Our continued success in ticket sales can be attributed to the variety of high quality entertainment presented in the Orpheum and the Holland," said Joan Squires, president of Omaha Performing Arts. 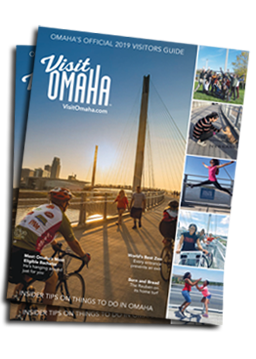 "We continually strive to make Omaha a destination for top entertainers, whether they&apos;re popular comedians, world renowned dance troupes or national Broadway tours."